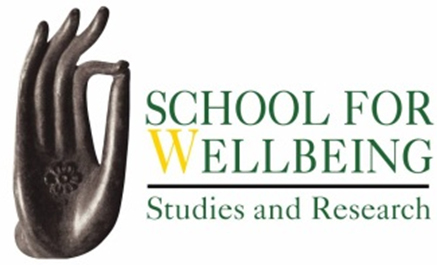 Questions from the School for Wellbeing Studies and Research (10 minutes) by Hans van Willenswaard, Project Director. Three scenarios for a multi-polar world: Welfare State, Market Economy or Well-being Society? Presentation by Prof. Jan Nederveen Pieterse and dialogue with the participants. New trends in twenty-first century globalization, the implications of economic crisis and a new role for Asia?
? Globalization or Empire? (Routledge, 2004).
? Development Theory: Deconstructions/ Reconstructions (Sage, 2001). The book Development Theory: Deconstructions/ Reconstructions (Zed Books, 2001) has been used widely as a textbook from Scandinavia to South Korea and has gone through many printings. It is now available as free e-book. Development Theory combines global political economy with development policy and includes critical, probing chapters on alternative development, post-development, culture and development and futures of development thinking. From chapter of Development Theory: ?The Tao of development? Wholeness in development should not be expected from a short cut towards an undivided whole in a divided world, but should be sought in a new balance combining wholeness and difference. One way of framing this is the Tao of development, which means acknowledging paradox as part of development realities. Development participates in the perplexities of the human condition and is not outside or beyond them. Critical holism as a balancing act may take such forms as a multidimensional, multifaceted approach, a chiaroscuro social science, combining objective and subjective dimensions of development, and combining multiple time frames and different forms of cognition. 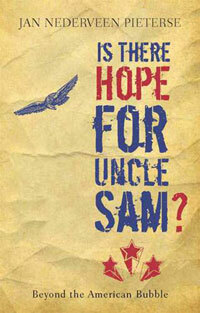 Is there Hope for Uncle Sam? Beyond the American Bubble. Social Sciences, Zayed University, Abu Dhabi, UAE. Backed by statistics, Nederveen Pieterse goes at length to dwellon the US war on Iraq and its inhuman consequences and calls thebluff of US mission of spreading democracy in the Middle East andelsewhere in the world. With impressive marshalling of statistics,Nederveen Pieterse shows the decline of the US economy and theemergence of rival super powers in the making such as China, India,Russia and Brazil known as BRIC but also the emergence ofsovereign wealth funds in China and the United Arab Emirates andso on. The author concludes that American decline is a by-productof American hegemony as he quotes an author, ?America?s militarybark is louder than its economic bite? (Varzi, quoted on p. 166).The message is clear: the world is no longer unipolar. The USmilitary unipolarity is juxtaposed by growing economic and politicalmultipolarities in the world. How does the US deal with the situation? Is there a way out? The author suggests reinventing New Deal policiesand a return to progressive social policies and commitment as alikely solution. But is capitalism as a system in crisis? Nederveen Pieterse, acritic of neoliberal capitalism, concedes that what is happening isrealignment and reorganisation of capitalism rather than a crisis ofcapitalism as predicted by Karl Marx in the mid-nineteenth century.A likely scenario is a roll-back of the criticism of the state and apartial return to a Keynesian economics. In this situation, we willbe better off reconciling with the variety of capitalisms with multiplecentres than with singularity of neoliberal capitalism and unipolarity.The author will find his position vindicated by the fact that in therecovery of the financial crisis that has begun in Asia (China, Korea,Singapore, Indonesia, etc) as of July and August 2009, the stateplays a critically important role.